hindi ko alam kung ano ang sasabihn ko,. gaano ba kahirap ang mundong ito? alam mo ba kung gaano??? meron ngabang nakakaalam maski isa sa tin kung gaano? kagabi habang nakasakay ako sa harapan ng jeep at naghhantay ng pasahero ang driver,. may napansin akong bata na nakaupo sa kanyang tuhod,. tapos nakita ko na wla pla syang salawal,. yung pwet nya shoot sa may butas ng kanal,. yun, nakaupo sya at nagaantay,. wla mang hirap na kung ano sa kanyang mata,. wla mang pakialam kung may tumitingan ba sa kanya o wla,. wla mang pakilam na nakaupo siya sa gitna ng lahat at naka hubo,. kung di man siguro inasar asar nung mamang nagtitinda ng sigarilyo't candy sa may tabi ng poste ay di ito magsasalita na kung ano mag papansin,. naisip ko minsan kung gaano ako kahirap umiri para lumabas yung akin,. as in,.auh!!! ganoon kadali yung sa kanya,. pero naman yung pagkakaiba,. ako may banyo pa ako,. sya sa kanal na lamang,. sa kanal pa sa may gitna na pagkikita ng dalawang kalye,.tsk,. i miss playing with my tortilos family. sure i've got lots of simulated characters but tortilos is the one that i like to play with. tortilos is my obsession you see. one time, as trish and i were going to the ab building this certain guy, who i have a crush, was walking out. it was trish's idea to follow him. so we did. he went to the coop pav, yup meron pa noon,. kaya first year pa lang noon. he bought a tortillos. a CHILI TORTILLOS. that's where the nickname came from. "obvious naman kasi pag stripes," trish commented. i've got a johnny depp who's a bachelor, in my sims community, a samantha evagelista (belat nyo), friends cast friends with the greatest fan of friends (moi of course! ), living star friends with their own lives: jen aniston, matthew perry, etc, i even have a brad pitt, anjelina jolie and their adopted family, but of course since its my world,. they ha e each other and brad is pinning for jen,. i have lots of other characters but really the ones that i'm usually playing with is tortilos. and his got a wife,. me, of course ,. whose name is cheese tortilos,. kamukha ko din namn ,. chinita,. jeans ang suot ano pa?? and the fruit of their love is their offspring, barbeque tortilos, a boy,. yup,. he's grown na,. we've gone to several vacations already and i know he wants to be a teacher that's why i've given him the opportunity to have a wonderful career in education,. hay,. i miss sims,. miss playing tortilos,. its like an alternative world of your own to pull you back from reality,. 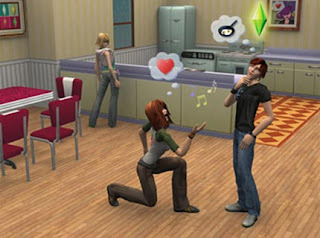 because reality can't allow you to make things hapen well sims can make your dreams come true,. through hard work,. still, of course,. kasi kayo din namn ang nagbigay ng idea,. diba?pasok pasok pasok sa qualifications fu(k u men!!! nagyon ewan ko ba NAgago na!!! "falling off the edge. hold me. " hearing verve's bittersweet symphony replay all over again in my blank space head,. sino nga ba ang loner??? didn't God the almighty create as an individual being??? then i guess we are all loners, then, hu? just asking.,,. so when i'm looking for companionship like waiting for a text message from a supposed friend, wanting to know where he (or she or they, take your pick) is (are). i don't get nothing, my happy, mood suddenly makes a u turn to lonelinees, instant loner. it's just that kristine is the only one listening to ana. and when i'm walking my left foot is the only one who seems to care where my right foot is going. nobody there but me. my right hand to say hi to my left who is waving. i guess the only thing that makes me lucid again is that when somebody smiles at me, or shows that they care like a simple text, or simple hi, those things that make you feel hey you're still living, not invisible and still is a part of this society. thought occourred to me: my grandmother told my mother that you should marry a guy who loved you more. what if i found no such GUY. Just the holy Trinity.. Of course it's already a fact that He loves me more. He sacrificed His life for us. should i be inclined to enter the nunnery and marry him??? mandidiri ang gagamit ng kumpyuter na ito,. bwahahaha,.,. Pwede ba lumayo ka sa kin??? papano ba naman kinakati ko ang aking ngipin,. wow ang tagal na din di ako nakakapag kwento,. just had fun this weekend--- friday to sunday, i was a bit emotional, but heck yeah,. i enjoyed myself and suddenly found a place for me,. yah,. beating the drums or should i say gong,. i just played and played. this for me was a dream come true,. i had to play my heart out never mind if my hands were getting sore,. this was just fot one night,. one night,. one night that might never happen again. i've always wanted to play drums,. unfortunately my mom seems to be turning me down,., and when people around me said that i have an ear for music and thought that i had the potential,.even gave me a demon chaser . i told my mom about it ,. and she didn't even encourage me., oh well at least i got her to agree to enroll me to some drum lessons when will that be?